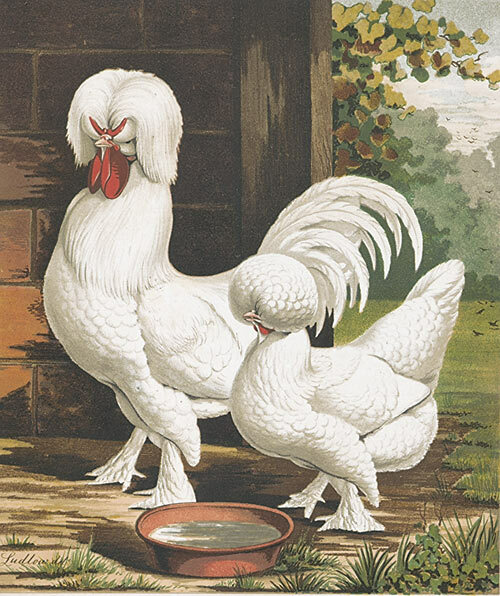 The Sultan is a very old, ornamental breed of chicken which originated in Southeastern Europe where they were once favored by the rulers of Turkey. Sultans came from Istanbul to England in the 1850s. Today the breed is very rare — listed as critical by the Livestock Conservancy. 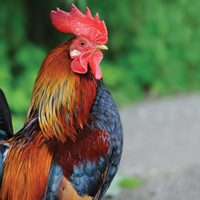 This extremely rare breed has a full list of distinguishing characteristics including a top crest, muff, beard, vulture hocks, fully-feathered shanks and feet, and a fifth toe. 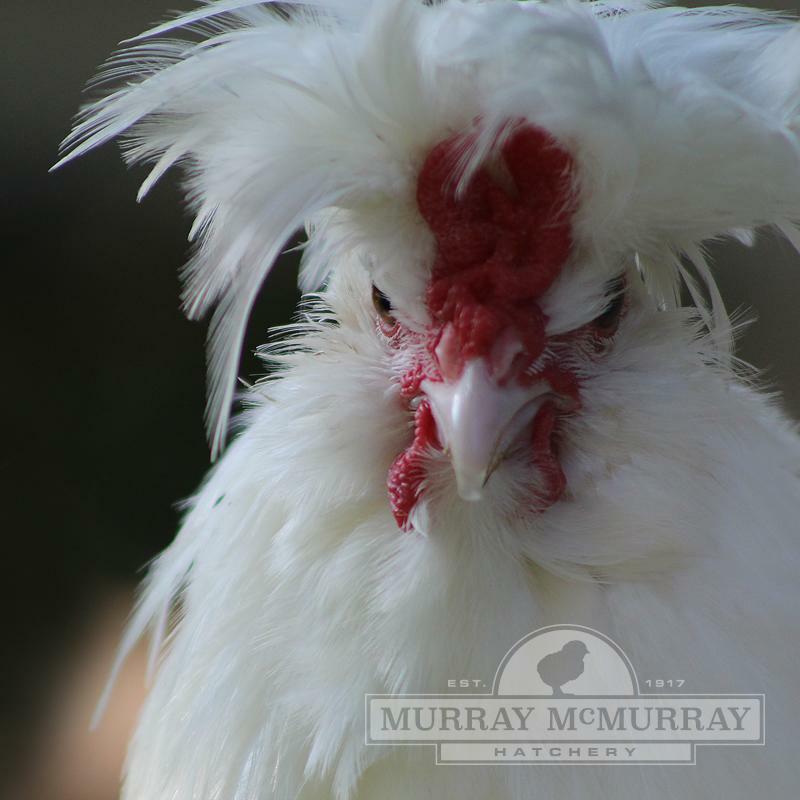 Sultan chickens have a dramatic appearance with their pure white feathering and contrasting bright red V-comb and wattles. 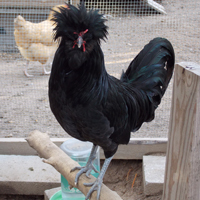 Males sport a larger crest and tail, and females have a dainty, rounded crest and shorter tails. Sultans are docile birds and have a sweet disposition. 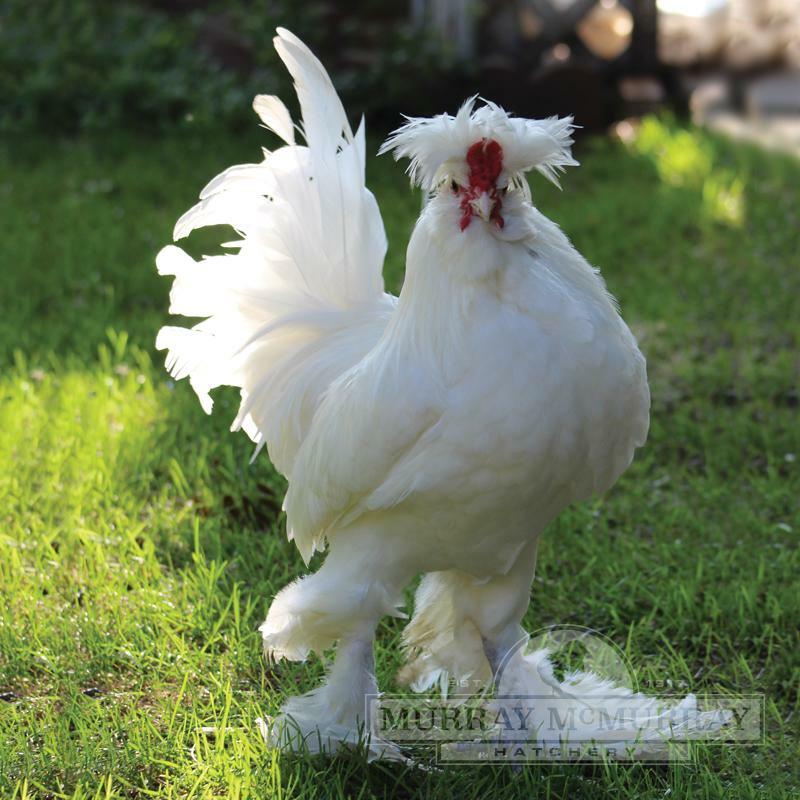 Sultan hens are white egg layers and are non-setters. 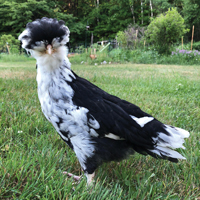 Is this breed ok for northern states? Are they cold-hardy? The Sultans are not a very cold hardy breed. SultansI received 6 (1 day old) sultans and all are doing great. SultansI will not order these chicks again. 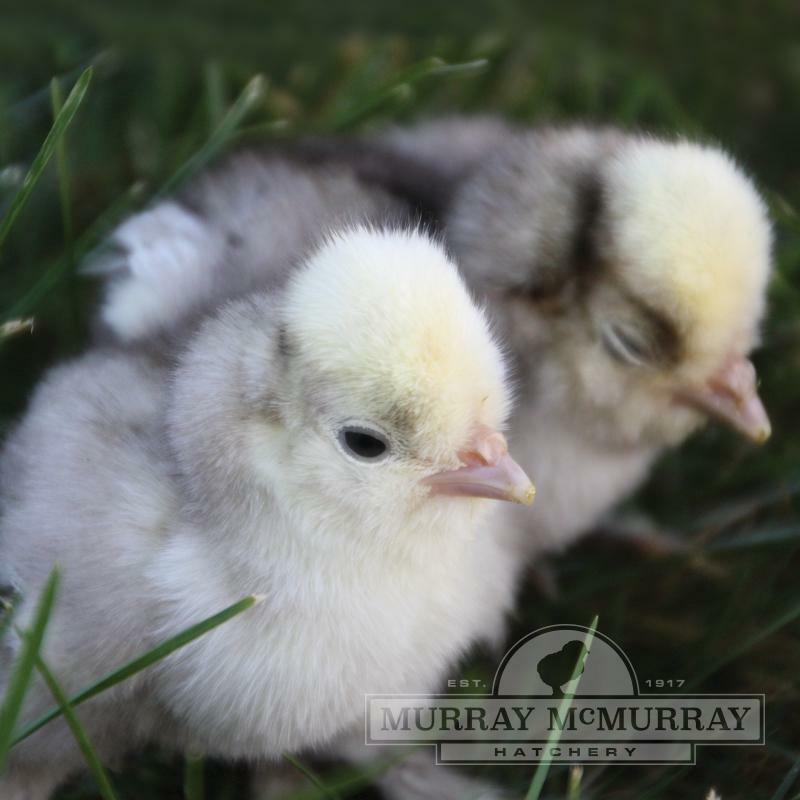 Don't know if its just the stock from this hatchery for if this breed is hard to raise. 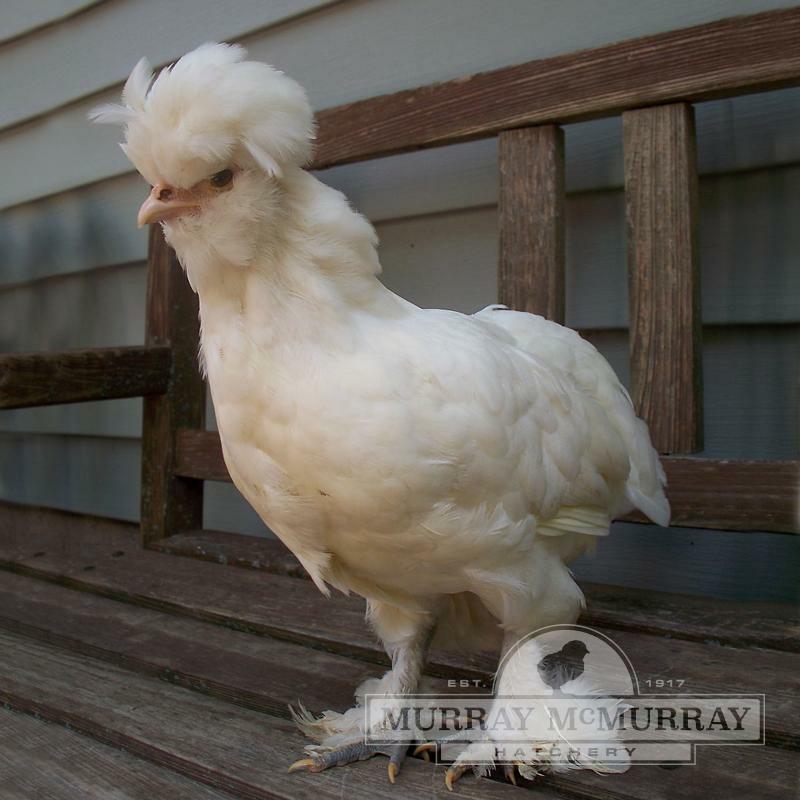 I ordered 6 of the Sultans with different varieties of polish chicks so that they would all be the same size. Something went wrong with my first order I lost 20 of the 30 chicks I bought including all 6 of the Sultans the first and second day that we had them. They shipped me a replacement order and 4 of the sultans died with in the first week. The remaining two are now two months old and doing fine.